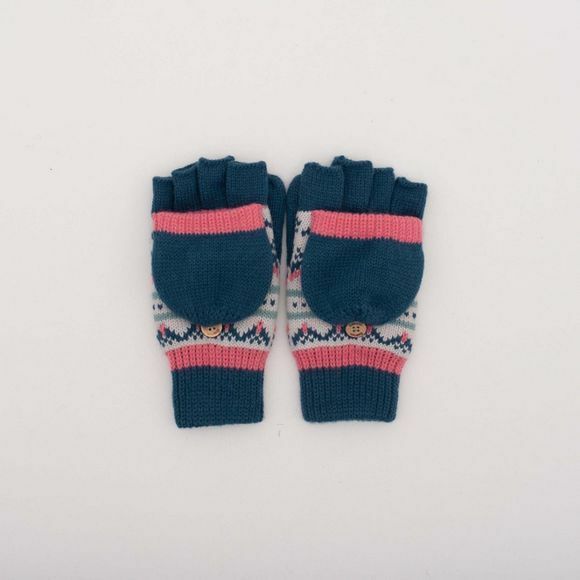 The Womens Fairisle Gloves from Brakeburn have a pouch secured by a wooden button that can be used if needed. Perfect for when you need some extra warmth on chillier days. Not only are these mittens versatile and warm they have added design details like a ribbed cuff for comfort and leather look Brakeburn branding.